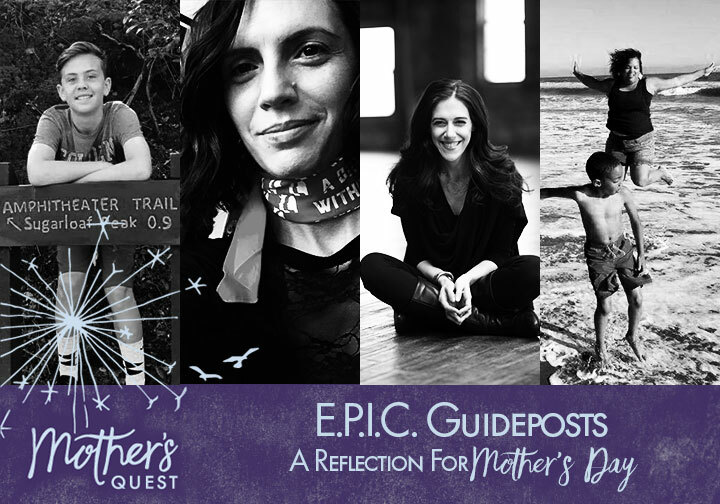 I’m excited to share this special Mother’s Day episode of the Mother’s Quest Podcast! Living an E.P.I.C. 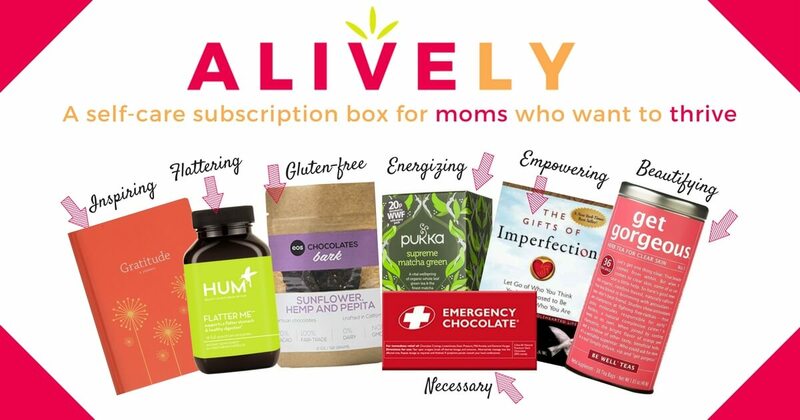 life has become a guiding framework for Mother’s Quest. So often as mothers, we invest so much of ourselves in our children and their dreams, that we let our own fade to the background. My mission with Mother’s Quest is to become the hero of my journey and the author of my story while providing inspiration, coaching and community to help you do the same. 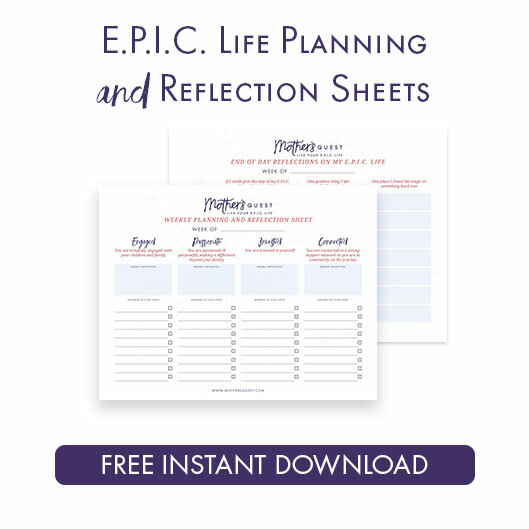 EPIC captures this idea of creating a life filled with the things that matter most. It’s also an acronym mnemonic for the guideposts that I believe help us live such a life while we’re raising our children. So, for this episode, we decided to highlight moments from season one, selected from some of our listeners, that connect to each of the four guideposts. You’ll hear what was special about the moment from the voice of one of our listeners and then hear the piece itself. Sunit Suchdev shares her reflection on my special episode with my son, Ep 18: YOLO (You Only Live Once) and other Milestone Reflections with Ryan Neale. 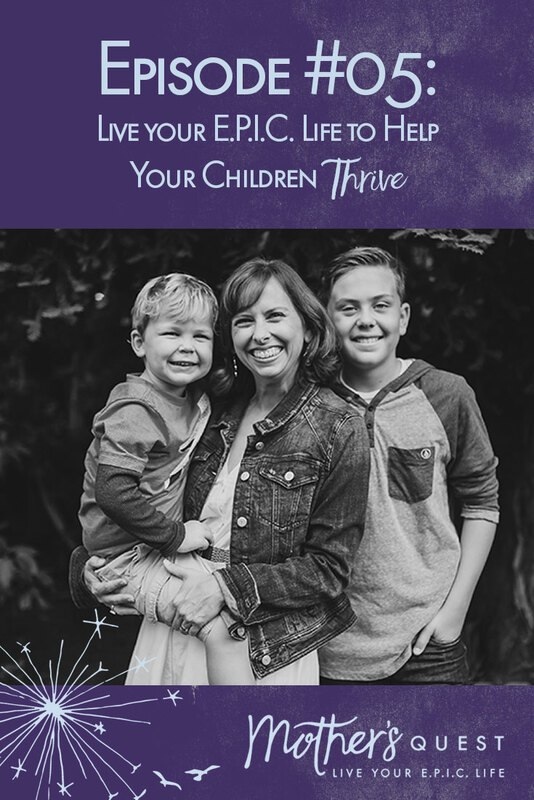 In this episode, Ryan reflects back that in being “a little selfish” in creating Mother’s Quest I’ve given him so much more than if I only focused on my children. Wendy Reina called in on the powerful impact that Ep 16: Rising Up with Paola Mendoza had on her. In this clip, Paola shares how her passion as a filmmaker and activist led to her role in creating the Women’s March and how she teaches her son the responsibility of using your privilege to help others. Lena Ayala-Velasquez shares her reflection on Ep 14: Breaking the Mold and Finding your Worth with Amanda Steinberg on the importance of taking risks and how the “cost” of taking a risk may actually be lower than the cost of not investing in ourselves. Saadia Ahmed, one of our previous guests, highlighted her connection to Ep 07: Living Out Loud with Jenjii Hysten which highlights the importance of forging connections with one another based on our common humanity. I also share how this episode set in motion a series of events which were transformative for my whole family and led to an incredible E.P.I.C. life snapshot for Jenjii’s family and my own. If you’re new to the podcast, this episode will be a great introduction to Mother’s Quest and will hopefully spark you to go and listen to the 18 episodes that are waiting for you. And if you followed along the whole time, this episode should be a helpful reminder of some of the amazing moments and lessons. I’d love for you to visit the website at www.mothersquest.com to explore new coaching offerings, blog posts and more. Read below for announcements about all the ways you can get and stay connected! Looking forward to a fantastic Season Two with you beginning on June 1st. Happy Mother’s Day! 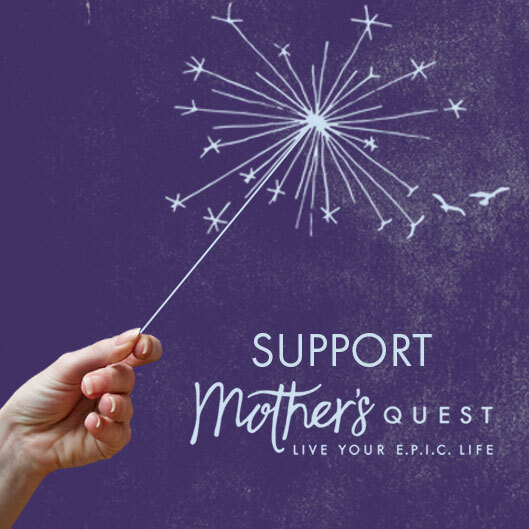 If you haven’t yet visited the website, head over to mothersquest.com to explore some of the ways you can get more connected. At the site, you can sign up for our email list (to get show notes delivered to your inbox and new weekly round-ups of “gems” I’m finding on my quest), click the link to join the Facebook group and press record to leave a voice message for me. Heart-felt appreciation for the women who shared their reflections on the E.P.I.C. Guidepost episodes – Sunit Suchdev, Wendy Reina, Lena Ayala-Velasquez, and Saadia Ahmed.